Today, traditional rules and roles in the art world are changing. The art community has moved online. 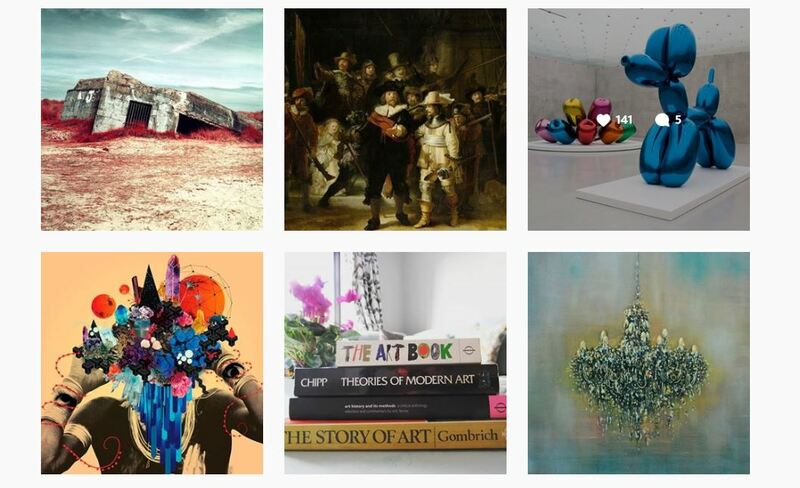 Collectors buy directly from artists’ Instagram feeds. Critics will read content on artists’ websites. Curators research and approach artists through Twitter. If you’re an artist, this gives you the opportunity and power to market your portfolio by yourself. But if you’re just starting out, you might be overwhelmed. So, I have put together a beginner’s guide on how to promote your art online and get noticed. Take a look at the website of artist Jay Taylor, built through Shopify. With a simple design and shop, he successfully sells original paintings and limited edition prints. If you haven’t already got one, you’re going to need a website. All you need is a simple but stylish layout, with well-organised content made easy for visitors to view and read. There are lots of portfolio-based websites where you can upload images and text into ready-made templates. No complex coding required. Lots of art students and recent graduates use Wix, as it’s a free option. With over 500 templates, you can choose something which suits your style. Squarespace is known for its beautiful templates that will help to get you started with a more professional aesthetic. Customisable settings include fonts, colours, and page configurations (you can include a shop). This template is set up for selling art online, and covers everything from payments to secure checkout and shipping. You can also choose between hundreds of themes and colours for the design. Jay Taylor features limited edition prints for sale on his interactive website. When you select an artwork, the details are revealed, including price. Clever! Once you’re set up with a template, you’ll need to write a short biography. Collectors buy based on the individual artist, as well as the artwork. This is the place for you to tell your story. Keep it short, authentic and insightful. What makes you unique? I would then include a separate section for your CV. Here you need to share any exhibitions you have been a part of, artist residencies, awards, education, and collaborations. Collectors will want to know all of this detail when deciding if they want to invest in you. The biggest mistake you can make is uploading all of your artworks. Your website is a selected portfolio, not your studio. Select high quality images, which show your best practice. Include full details, including size, medium, title and date. If you have different categories e.g. portraits, landscapes then separate the art out into these. You need to think about your visitor’s experience: make it easy for them to find what they’re looking for. Many artists link from their websites to an Etsy store to sell their art/craft/designs. Through sites like Shopify, you can build in a shop into your website. Clearly label your shop in the website’s main menu. Other options include linking to an Etsy store, which jewellery maker Abbie Gaiger has done on her smart site here. If you want people to find your website through their Google searches then you’ll need to include some SEO (Search Engine Optimisation) magic. I didn’t start to do this until recently, and have seen a real difference in my page views from organic traffic. 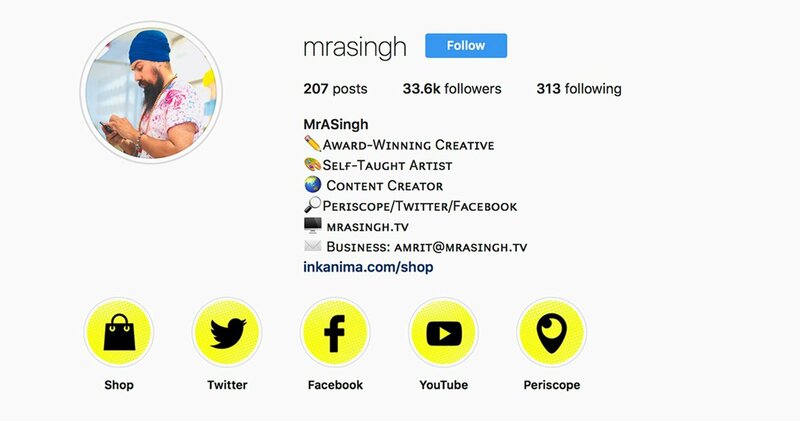 Birmingham artist MrASingh uses social media, including Instagram, to share his artworks with thousands of followers. Check out his feed here. Once your website is set up, your next step is to drive traffic to it. The best way to do this is through social media. My main recommendation here is that it’s better to manage one social media account well, than have several which aren’t updated regularly. Many artists now use Instagram to share their portfolios, connect with collectors and sell art. Even art dealers and auction houses are making sales and promoting exhibitions and auctions on the visually-focused site. First of all, you need to build a profile. Include a few words about yourself, a link to your website and a profile photo. Also, if you want to share your artwork with new audiences, make sure your profile is not set to private! Now, you’re ready to start uploading images. Make sure they are high quality. This may seem obvious, but Instagram is unforgiving of pixelated, blurry shots. On Instagram, you are your own curator. Build your brand by offering an inside account e.g pictures of your studio, artworks in process, as well as finished products. Use quirky or catchy captions to engage your audience and find new followers. For example, you can use a title like * Sneak peek in the studio * to give people an exclusive feeling and raise the hype of the work. Keep your followers engaged, and build the suspense to the final product. You will also need to use popular hastags. You’ll often see people add words like #artistsofinstagram or #contemporaryartcollectors in the description of the images that they upload. These hashtags become clickable links, and you can also search them with the IG search tool. This is how people discover new artists. I also recommend engaging with other members of the art community. Comment (thoughtfully) on other artists, curators’ and bloggers’ pictures. You never know the connections and collaborations you could make by simply liking or commenting on someone else’s image. “My live streams and Instagram account are where most of my art sales traffic comes from. Most of my orders are international, with 70% sold to American clients. So, social media is a fantastic tool for me as an artist” – MrASingh. I have found the best times to post include the morning commute e.g. 8:30 am, lunchtime, or evening. I also find increased engagement when I share content on Sunday afternoons and evenings. Bear in mind that active engagement is more important than your number of followers. A relatively new way to share content is via Instagram stories. They should definitely be part of your strategy, and they’re fun! You’ll find Stories of people you follow located in bubbles along the top of your home screen. They last for 24 hours and are a great way to engage your followers. You can use Stories to announce news, invite questions, preview new artworks, offer a tour of your studio and give insights into your story as an artist. The possibilities are endless. The more interactive the better here. You don’t need to spend your life on social media. You can schedule your posts through sites such as Hootsuite. Game changer! I recommend one post per day to start with. I use Instagram to share my new blog posts. For inspiration, check my feed & Stories here. If you want more advice on how to promote your art online, then please get in touch. I have lots of experience helping artists to create content for social media and websites to find new audiences and collectors. You can contact me here.